Dearly beloved, we are gathered in this month of June for a wedding at the Parker family ranch. Or so the invitation says! Little does the family know that not just one Parker sister is getting married, but three. 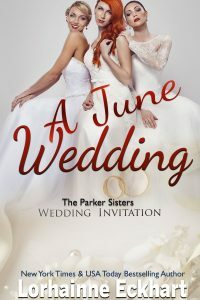 Will this be the wedding of the season, or will three sisters end up with broken hearts?